The DS29B30 1-Wire Digital Thermometer Module features a high resolution temperature sensor with configurable alarms. This tiny module features a Maxim DS18B20 Programmable Resolution 1- Wire Digital Thermometer. The DS18B20 uses a single 1 Wire serial interface with a simple register based command set. Temperature data can be configured as 9-12 bits to minimize conversion time or maximize resolution. The DS18B20 measures temperatures from -55°C to +125°C (-67°F to +257°F) at ±0.5°C accuracy from -10°C to +85°C. Temperature sensor readings are returned as calibrated Celsius values at a conversion rate from 93.75ms to 750ms depending on the selected resolution. High and low temperature threshold can be configured to generated alarm conditions. 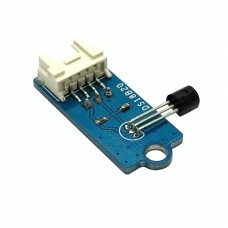 This tiny digital thermometer module can be connected your microcontroller using a 4 pin Grove compatible connector or a 3 pin male SVG Signal Voltage Ground header. A mounting hole makes it easy to attach to your project. 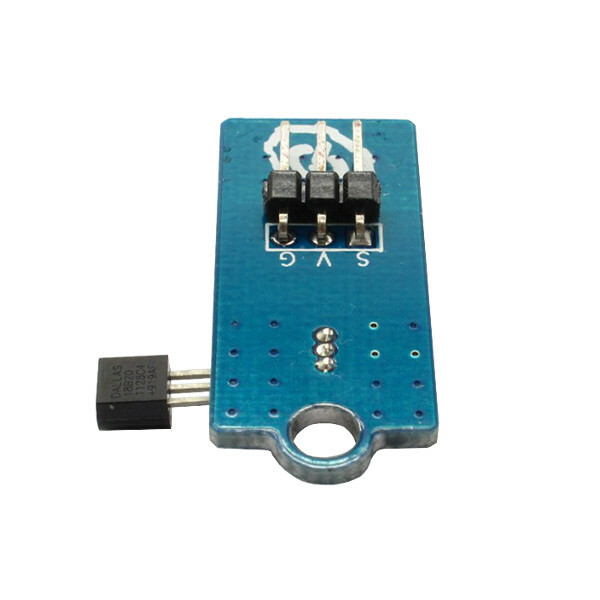 It is compatible with 3.3V and 5V microcontrollers.